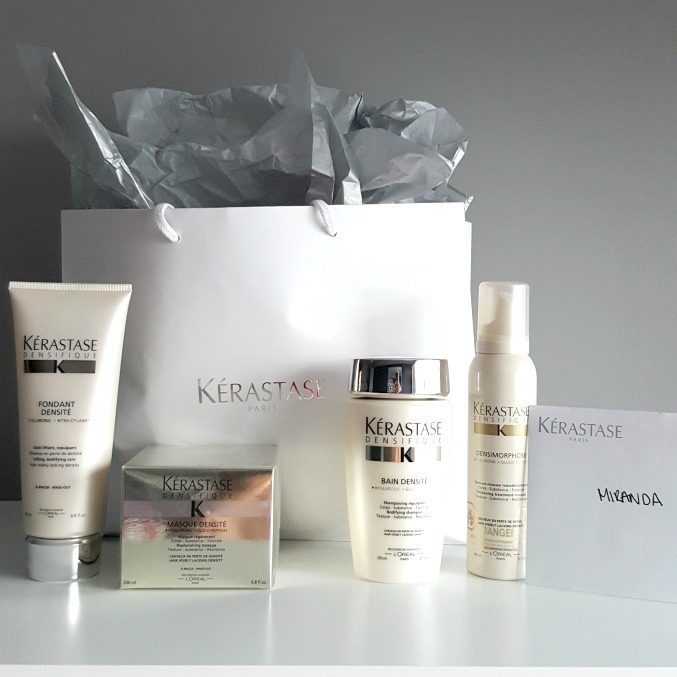 When you think of the ultimate luxury in haircare, a name that immediately pops up is Kerastase Paris, a brand you can find at salons with the beautiful and elegant packaging. I've tried a few Kerastase products here or there, but never an entire collection targeted to address a specific hair concern. When I was contacted a few months ago to give this brand a try I had to say yes! The added bonus was the fact that I was able to pick out a line specifically addressed to my own unique hair. After going through the "my personalized diagnostic" tool, I was able to narrow down the range of products and collections to the Densifique Collection. For those who have been reading my blog for a while now, or know me in person, my primary hair concern is lack of volume and thickness. My hair grows really fast, but it is thin and lacks the oompf I desire. 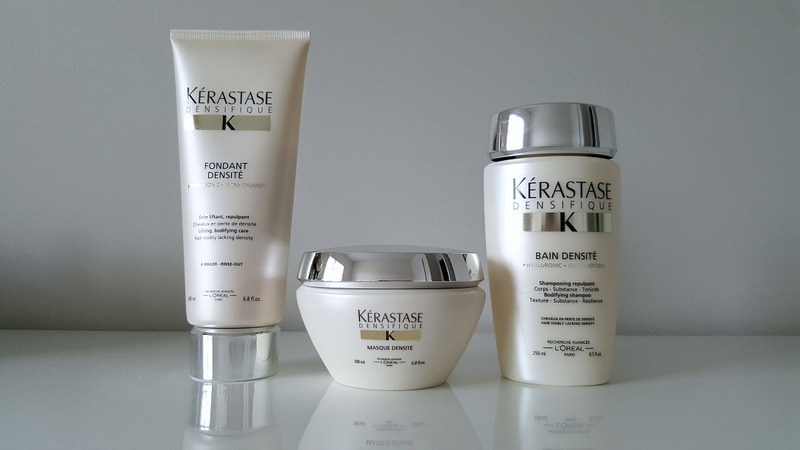 The Densifique Collection is used to address visible hair loss but not to the point where you have a receding hairline. For those of you who actually notice a receding hairline, the Aminexil solution is better for you. 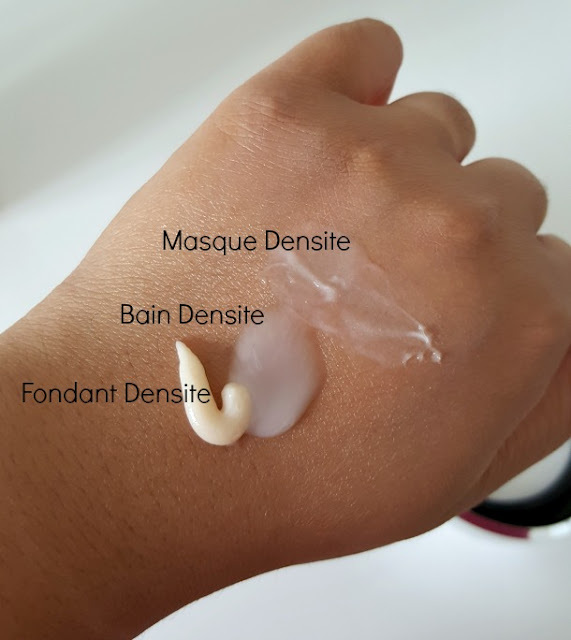 First I'll talk about the Bain Densite, Fondant Densite and the Masque Densite. Bain Densite: This is a shampoo, that helps with hair that is losing density. It awakens dormant bulbs (I would presume maybe this means hair follicles) and helps to promote growth. It contains Stemoxydine ®: state-of the art densifying molecule and Hyaluronic: to give bounce and plumpness to the hair. Fondant Densite: Is what I would say a conditioner. It is a light-weight cream formula that helps to seal in the effects of the shampoo and adds lift and volume to the hair. I apply about the size of a toonie to the whole length of the hair as well as the scalp. Make sure you let it sit for 1-2 minutes and then rinse out. Masque Densite: This mask is perfect for you if you have any damage from constant heat use on the ends of your hair. I am guilty of always using a straightener, and this helps to revive the damage. It says to use it from roots to ends, but I found this to be a bit too rich for my roots, I like to just apply it to the ends. Leave it on for 3-5 minutes and then rinse out. I use this about once a week. Finally, there is the styling component to this collection, which is the densimorphose. It is a mousse that you apply on towel-dried damp hair. 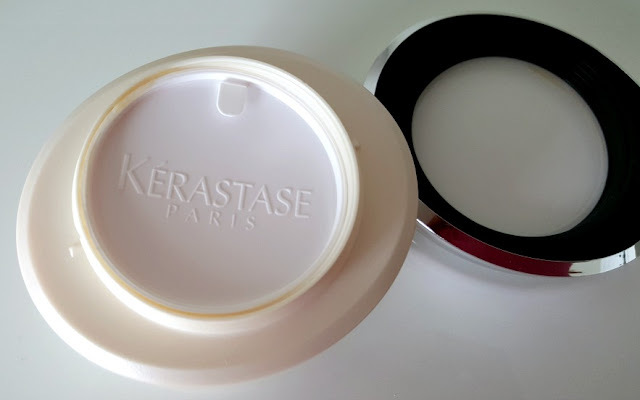 It does ask for a generous amount of this product, they say an orange sized - however I more so use a clementine sized as I have medium length hair right now (shoulder length). This product is applied from the roots and then I finger comb it through the length of the hair. I then flip my hair upside down and blow dry my hair. 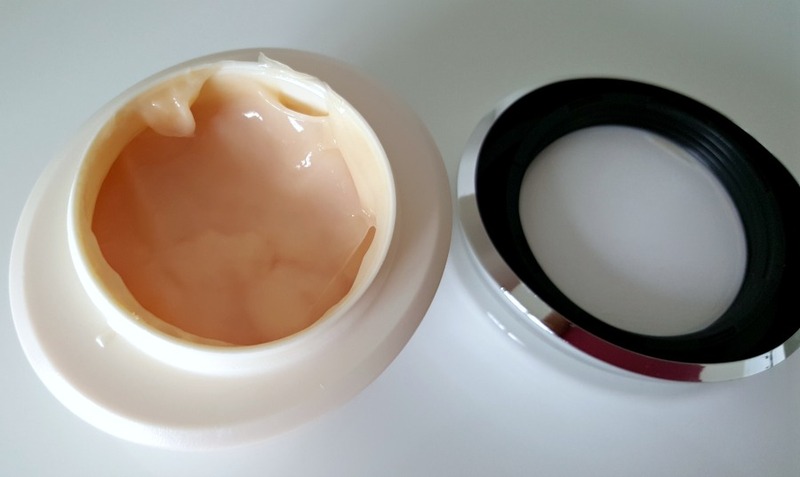 This product is my holy grail - this is what has given me the oompf! that I really want, it makes me look like I just got a blow-out. 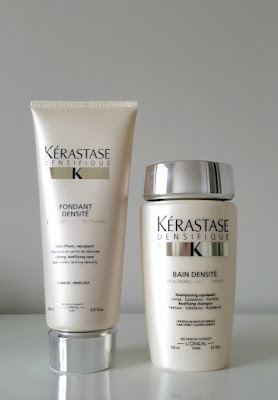 I thoroughly enjoyed the Kerastase Densifique collection and cannot wait to try out any new ones in the future and will definitely purchase some to add to my daily haircare routine as I definitely do see results.